If you want to eat Seafood most restaurants serve seafood dishes so you don’t really need to seek out a specialist. We recommend Seafood Market for a splurge, T & K in Chinatown for good, reasonably priced food in an atmospheric location and Snapper for quality fish n’ chips. 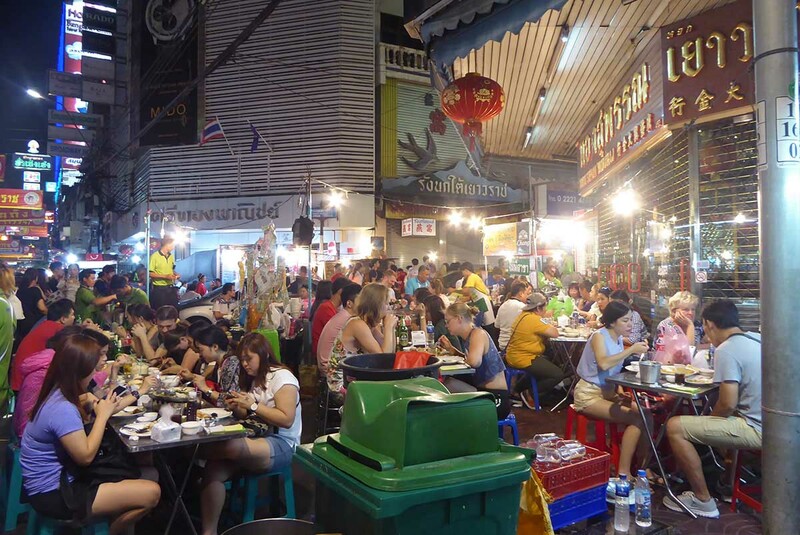 Bangkok has its share of rip-off seafood joints where you will be fleeced. NEVER ask a taxi or tuk-tuk driver for a recommendation as they will take you somewhere where they receive a commission and you receive a big bill. Do your research before you go and take the taxi to the street your restaurant is on rather than to the restaurant name. 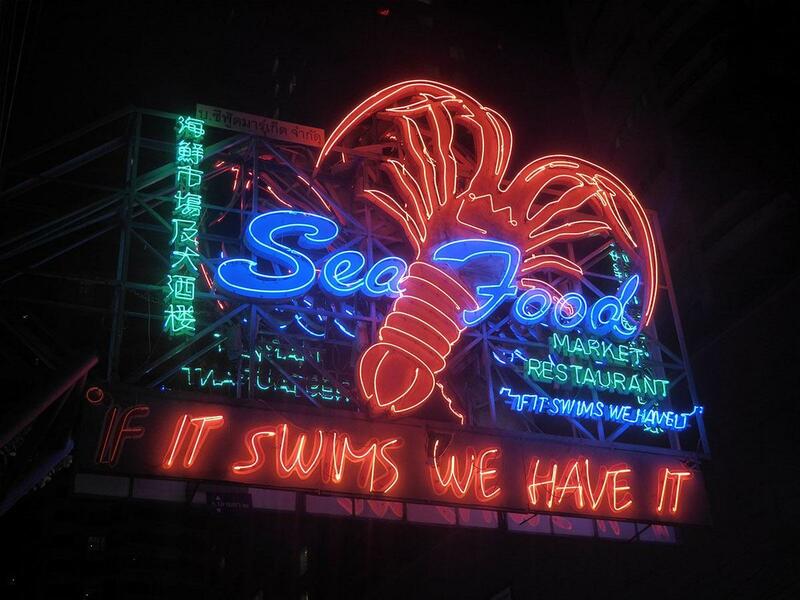 Seafood Market is a large long-running dedicated seafood restaurant on Sukhumvit Soi 24, motto “if it swims we have it”. The restaurant works on a market concept where you visit the market area, choose your seafood, vegetables, and fruit from the massive selection, pay for it at the check-out, choose the cooking method and wait for it to be delivered to your table. At the end of the meal you pay a cooking charge and for any drinks you ordered. The food is expensive at premium prices and is charged by the weight though it’s fresh and top quality. Prices are clearly marked. The cooking charge is 100 baht per dish. Seafood Market is a great place to come for an experience as well as the quality food as long as you don’t mind paying for it. Location: 89 Sukhumvit Soi 24, Bangkok. Getting There: BTS Phrom Phong (exit 2). 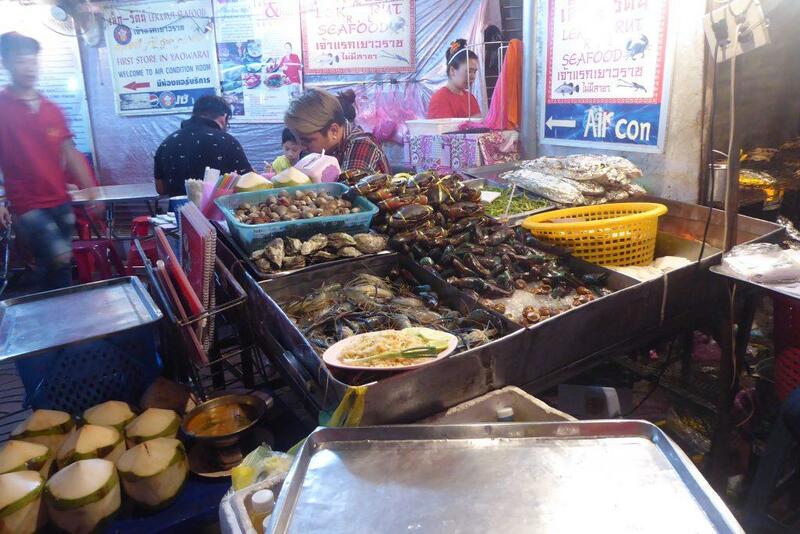 Seafood Market is a 10-minute walk down Sukhumvit Soi 24. T & K is a famous Chinatown street side seafood eatery. 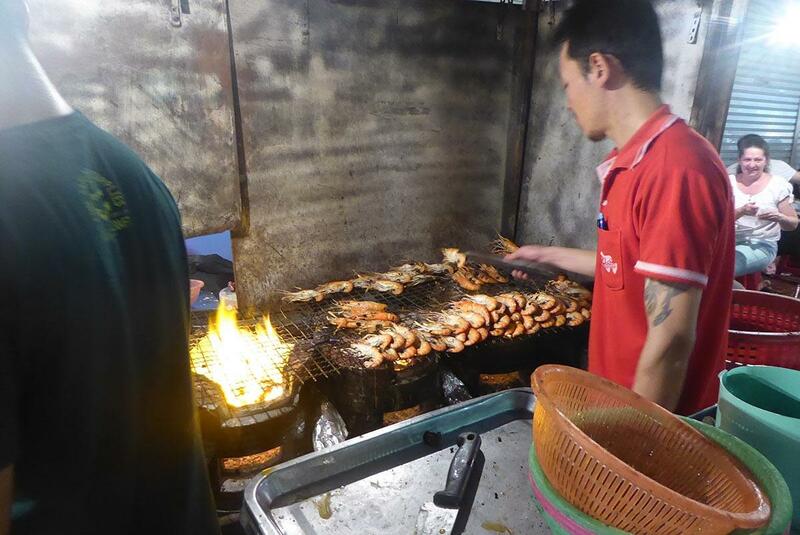 It serves reasonably priced BBQ seafood including fish, prawns, squid, oysters, mussels, clams and more to large crowds every night. The tables are communal both outside and inside which is air-conditioned. There is always a queue so you will have to wait in line for space. Alcohol is available at cheap prices. Location: 49 Soi Texas (Phadungdao), Yaowarat Road, Chinatown. Opening Hours: 17.00-01.00 Tuesday-Sunday. Closed on Monday. Getting There: MRT Hualamphong (exit 1). 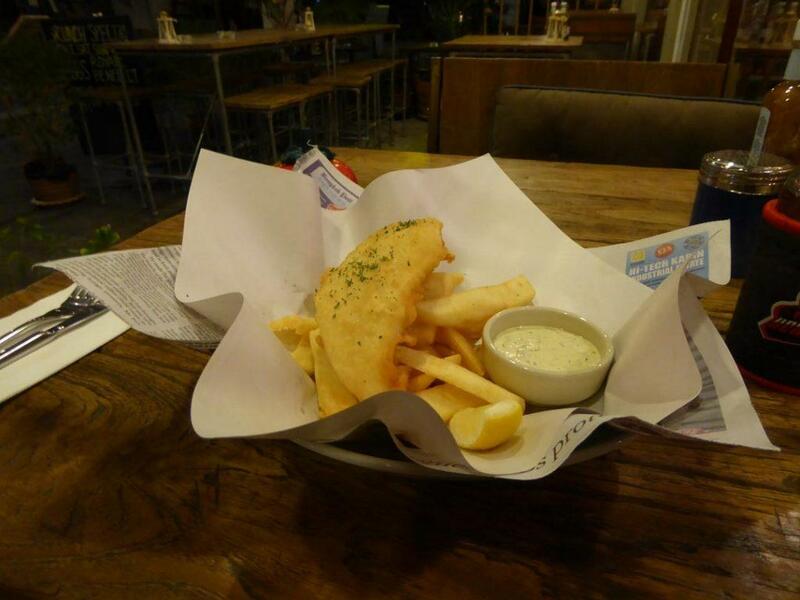 Snapper is a Kiwi owned Fish restaurant serving up the best quality fish n’ chips in Bangkok. All the fish is imported from New Zealand and is of a high quality with five kinds of fish available. All the sauces are homemade and there is also a meat menu featuring New Zealand beef and lamb. The bar serves New Zealand craft beers and wines alongside local beers and Australian wines. As well as fish n’ chips there are oysters, mussels, tiger prawns and seafood platters. Fish n’ chips start at 380 baht with English style thick cut chips and can be ordered lightly beer battered, crumbed or pan fried. Fish and meat burgers start at 360 baht, and meat dishes from 320 baht. There are also soups, salads, desserts, and homemade ice cream. There is also a snack menu starting at 130 baht. Beers start at 75 baht for local beers and New Zealand craft beers and cider from 200 baht. Australian and New Zealand wines start at 895 baht a bottle. The house Australian wine is 100 baht a glass or 245 baht a carafe. A range of cocktails starts at 265 baht. Everything is excellent quality and excellent value for money. 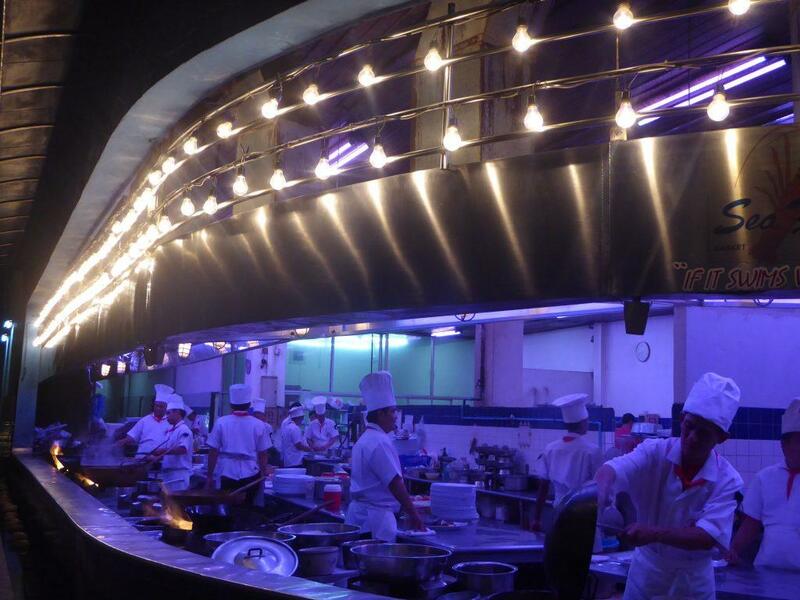 Wednesday night is all you can eat fish nights at a bargain price of 499 baht. There is a service charge of 10% added to all bills. Service is good. If you want to eat fish n’ chips in Bangkok, Snapper is the place. Location: 4/8 Sukhumvit Soi 8, Bangkok. 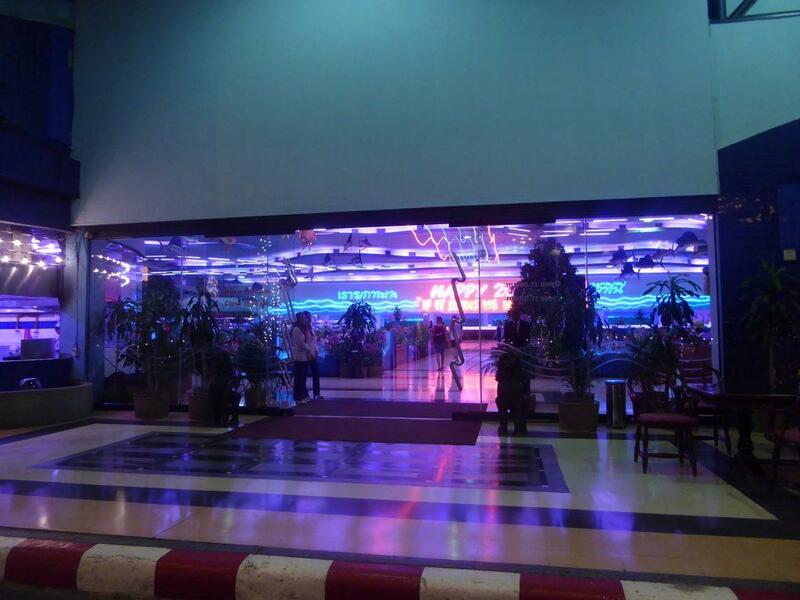 (Snapper is in the first alley on your right after entering Soi 8. Opening Hours: 16.00-24.00 Monday-Saturday, 12.00-21.00 Sunday.